At Peak Art we believe that you can’t simply give every item a “designer” label. 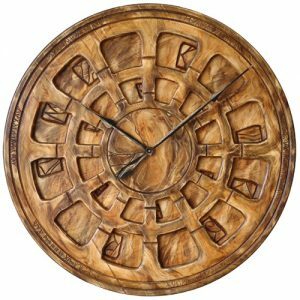 Many of our clocks are very unique and one of their kind but “Maori Moana” really stands out. 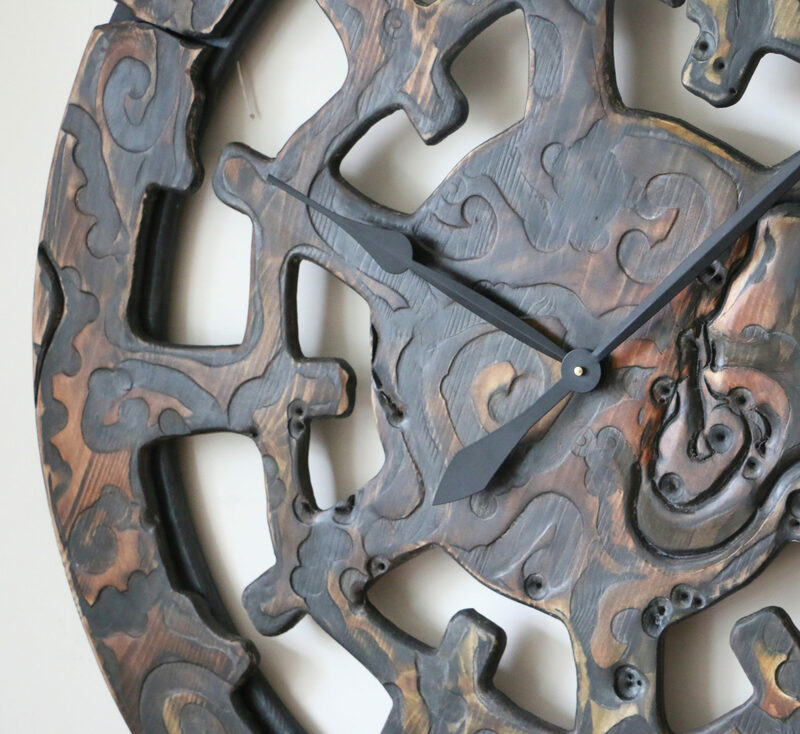 We aren’t afraid to say it is a designer clock because of its rare face and colour patterns. 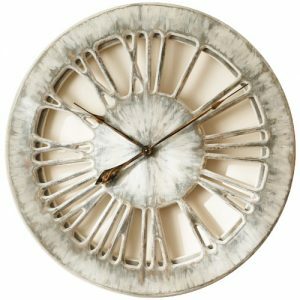 Unlike many other wall clocks from our collection it doesn’t display traditional Roman Numerals. On the other hand its light and skeleton design demonstrates Peak Art’s trademark three dimensional look. 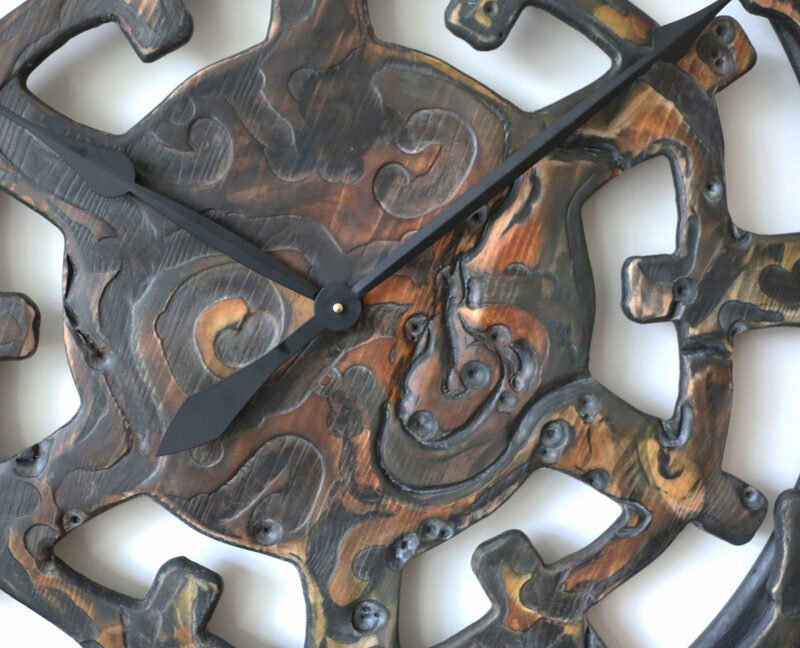 Have you ever searched the internet for extra large handmade wall clocks? 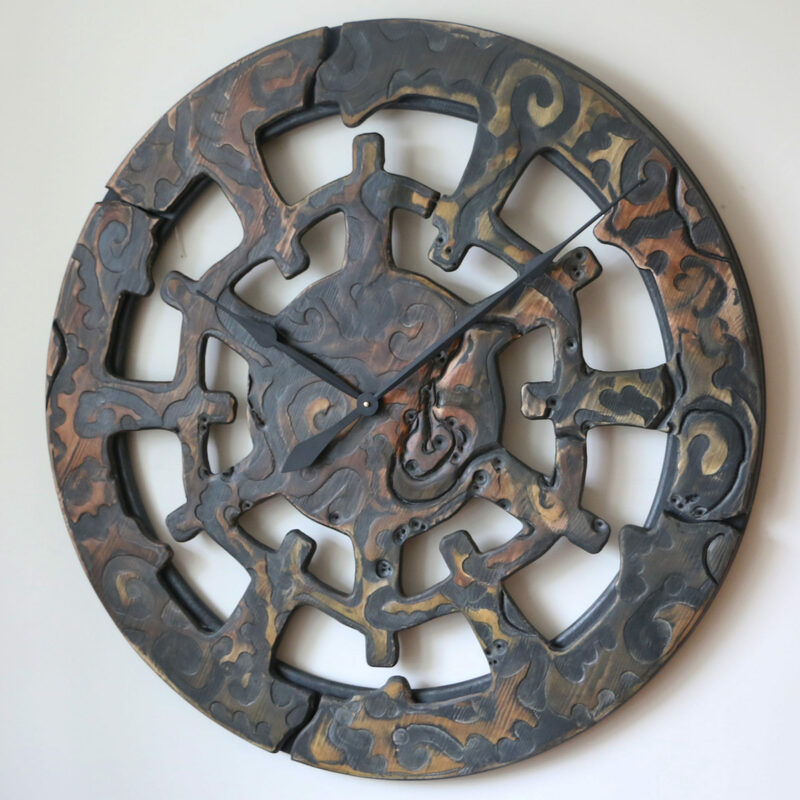 Peak Art Clocks are not only number 1 in Google Search but also our products standout from the competition with their unique beauty and charismatic charm. 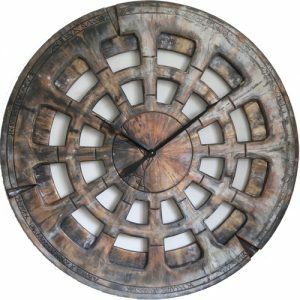 Just look at this amazing unique designer clock! Nobody else have ever imagined that the timepiece of this size can be hand cut from single panel of wood. We then hand painted it in most unique patterns to provide a strong statement that takes your breath away. Every other company or should we say clock manufacturer is following the same path of mass producing the same product all over again. If you are looking for a unique designer clock that would be a centrepiece in your living room look no further and select one of many extravagant timepiece design available in our online shop. Each of our clocks requires a single C-Cell battery to power up the most powerful Quartz Sweep Movement. You don’t need to worry about swapping the battery more often than every 9-12 months. When you receive the clock you will get full instructions explaining how to set the time and space the bolts on your wall. 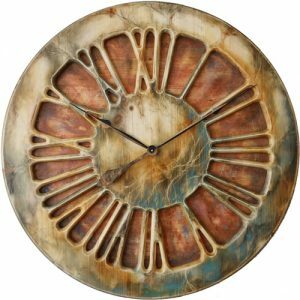 “Maori Moana” is one our most artistic wall clocks that have been inspired by indigenous tribes of New Zealand. It displays beautiful pattern of colours blending with most stunning shape and carved features. 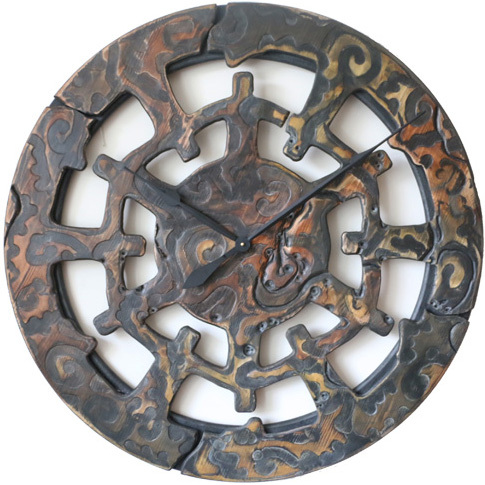 As every other wall clock from our online store, we designed “Maori Moana” to impress. Gone are the days when you had to find large painting to fill this big empty space on your wall. 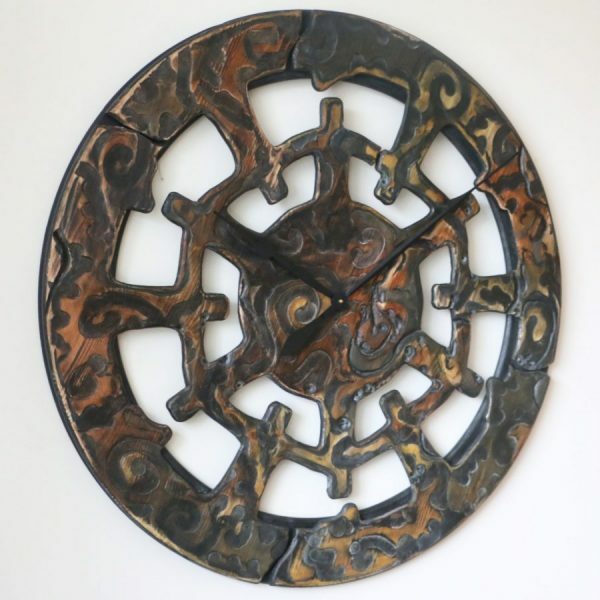 If you are looking for a distinctive three dimensional form of functional wall art join our Growing Facebook Community. We are always looking for your views and comments so don’t hesitate to let us know what you think. We know that some of you may not be able to find the perfect match in our online store. Don’t worry, if you can’t find the style you like just send us some pictures and explain what you need. 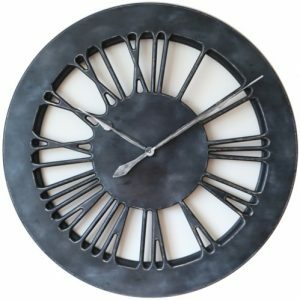 We can design your unique designer clock together.